your choice of dates and course delegate numbers. Professional IT training courses at your venue. On-site training from Seer Computing means we deliver any of our in-house built training courses to you at your preferred location / venue. We handle everything from start to finish, bringing each delegate an individual machine to learn on. How flexible is on-site training? Each on-site training course is totally customisable. Courses and can be shortened or lengthened in duration according to the delegates' individual experience, backgrounds or work schedule. All our on-site training courses can be presented at any location in the UK, Ireland and Europe commencing on days that suit you. With on-site training, we do the travelling and you don't. It's all part of the service and means no unnecessary travel time for you or your colleagues and no extra budgetary burdens. Time away from current projects is minimised and your team is already in a familiar working environment which can encourage learning, and which can also bring a new-found synergy to your team. Plus, when you have more than a few people to train, delivering on-site training can help you can reap massive savings on the total costs of going off-site or on public training courses. No problem. You drive the content and timings for the duration of the course and choose your stops to fit in with your schedule, not ours. 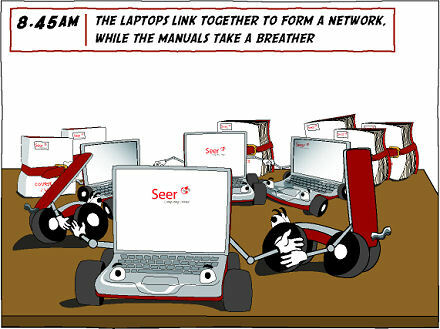 On-site training courses from Seer are all about flexibility as well as getting the most out of learning. 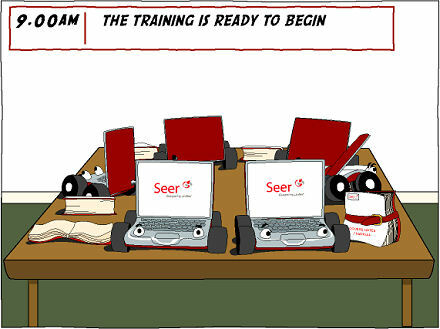 When you choose an on-site training course from the experts at Seer Computing, our set up is totally seamless. It just takes your trainer half an hour to set up the room - we just need tables, power and optionally, a flipchart. 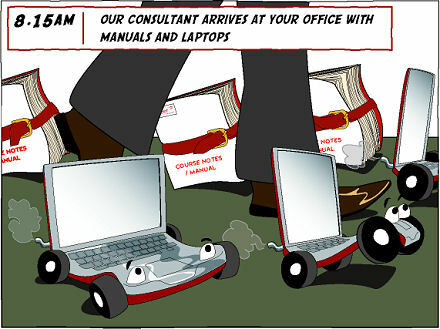 Your Seer on-site training course means you don't have to worry about a thing - we bring all the laptops, Oracle database (when needed), top quality training manuals and materials with us, all primed and ready to get started and there are no networking security issues with our client's computer systems. There are no limitations to the number of people who can attend a course, but we find you will get the most out of your training if you have groups of between 1 to 12 people. Are there any hidden costs with on-site training? Absolutely not. When you use Seer Consulting, all our costs are 100% inclusive. No travel bills, no set-up charges. Everything is part of the deal from the manuals to the materials, the instructor's skills to the tear down at the end of your course. No minimum number of delegates on the course but a minimum price for a range of numbers. How do I book a Seer Computing course? It's simple. To book we just need a purchase order or payment by bank transfer, draft, cheque or via PayPal. 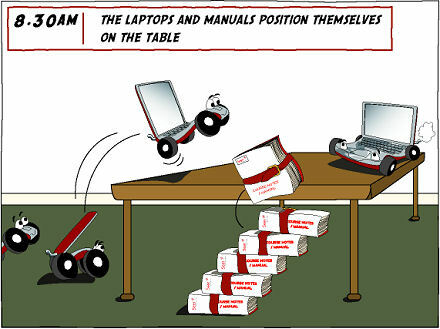 Contact training@seercomputing.com or call +44 (0) 800 157 7519. On-site training courses, we come to you at your venue, your choice of dates and course delegate numbers. All on-site training courses are delivered by skilled professional instructors to the highest industry standards, are hands-on and specifically tailored to your company's needs. Together, we can achieve lasting results with our on-site Java, PHP / MySQL and Oracle Training courses.